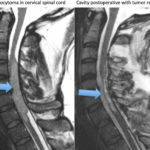 Call us to discuss your spine tumor concerns with our BOARD CERTIFIED spine surgeon. 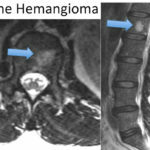 Spine tumors are usually classified based on location. 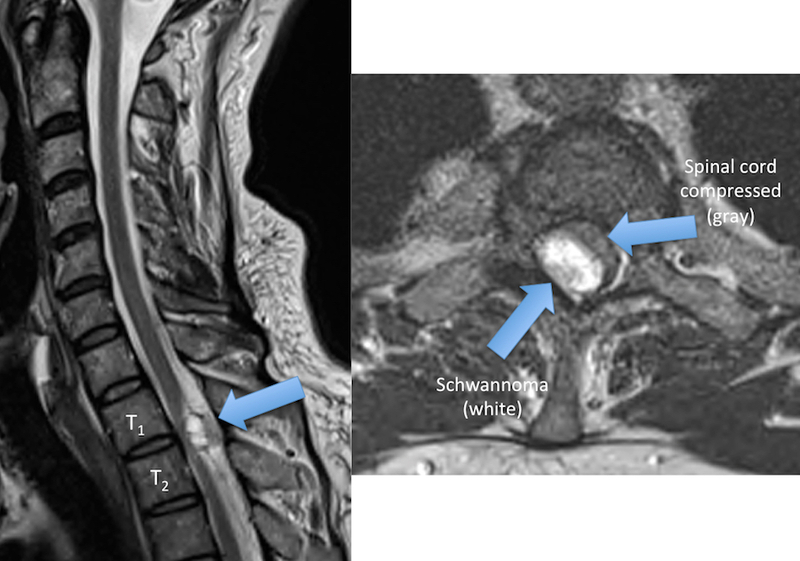 Tumors may either reside in the bones comprising the spinal column or in/around the nerves themselves. 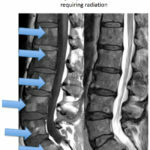 Most tumors involving the bones of the spine have spread there from somewhere else in the body. 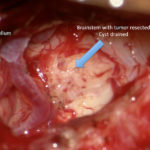 These tumors are called cancer metastases. 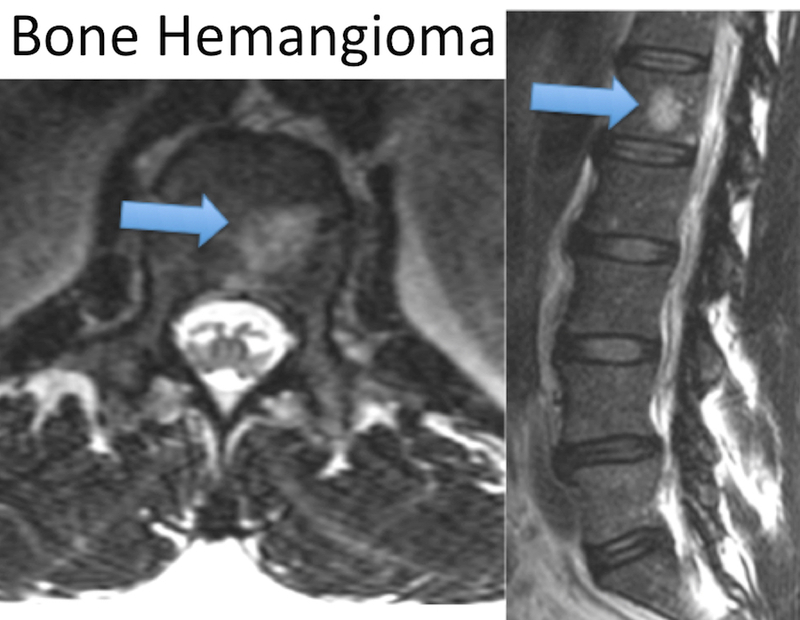 Tumors starting in the breast, GI tract, prostate, lymphoma or skin can spread to the spine bones. 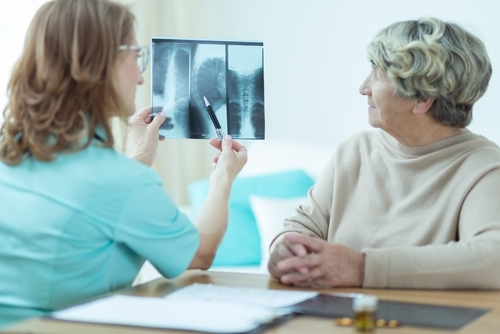 Metastases often are multiple tumors in many bones, so treatment is usually in the form of chemotherapy and radiation. 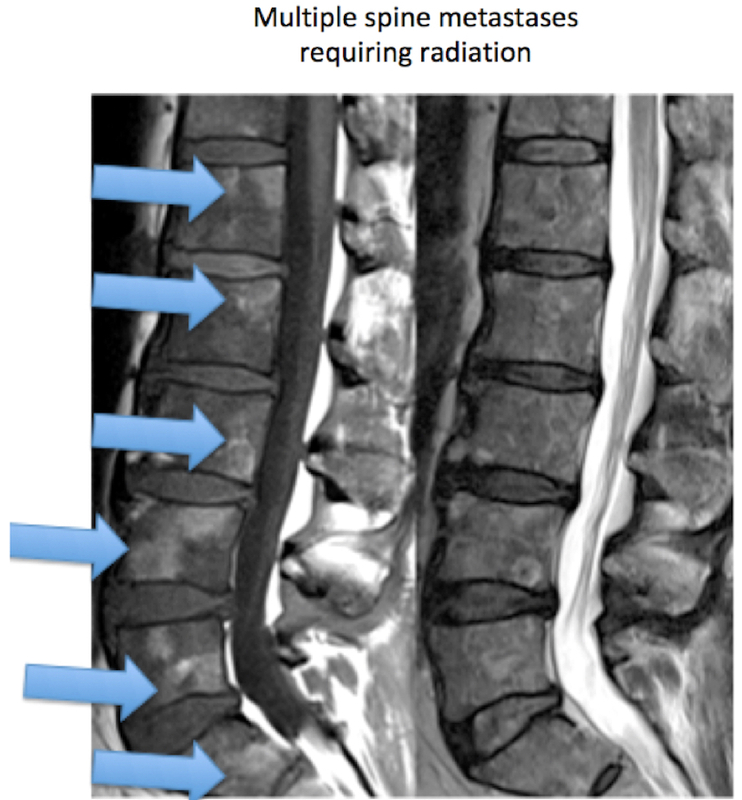 Metastases often cause pain, and radiation often does a good job of controlling this pain. 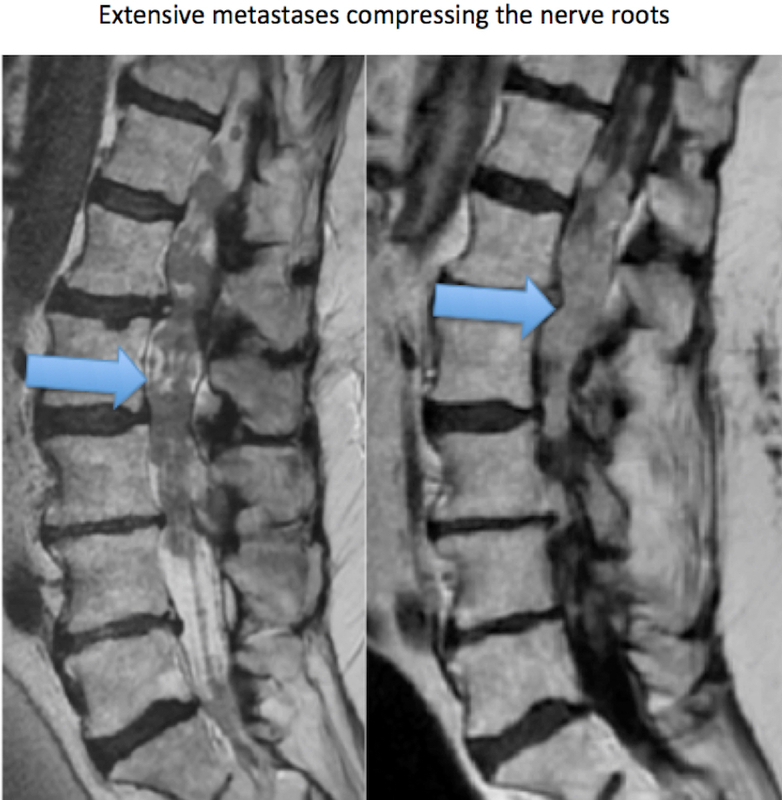 However metastatic tumors can also destroy the bones of the spine, leading to instability, or press on the nerves causing weakness or numbness. 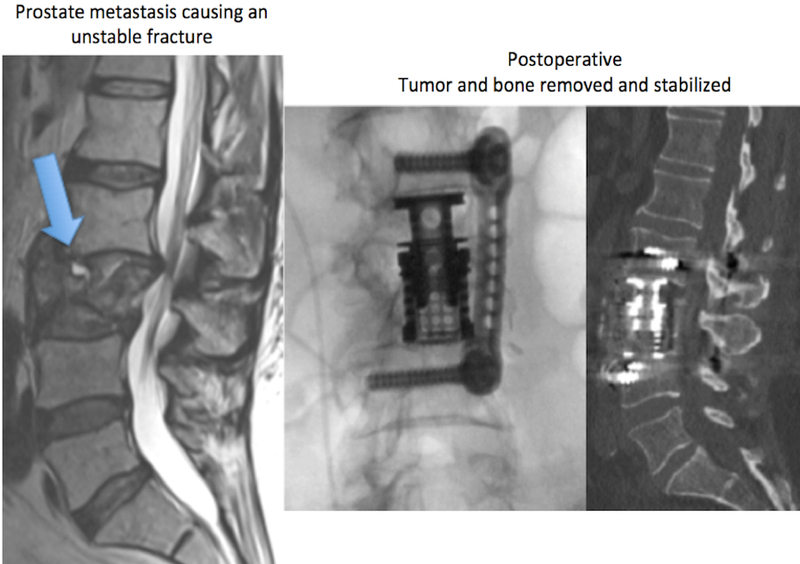 If the spine becomes unstable, sometimes surgery is indicated to stabilize the spine. 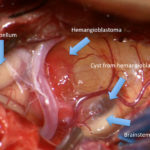 If the nerves are significantly compressed, sometimes surgery separates the tumor from the nerves and then the remaining tumor is treated with chemotherapy and radiation. 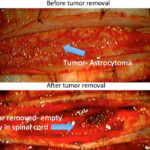 There are circumstances of a single tumor in one bone and surgery may be used to completely remove the tumor and bone. 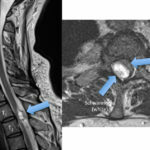 There are numerous other tumors that primarily start in the spine bones themselves. 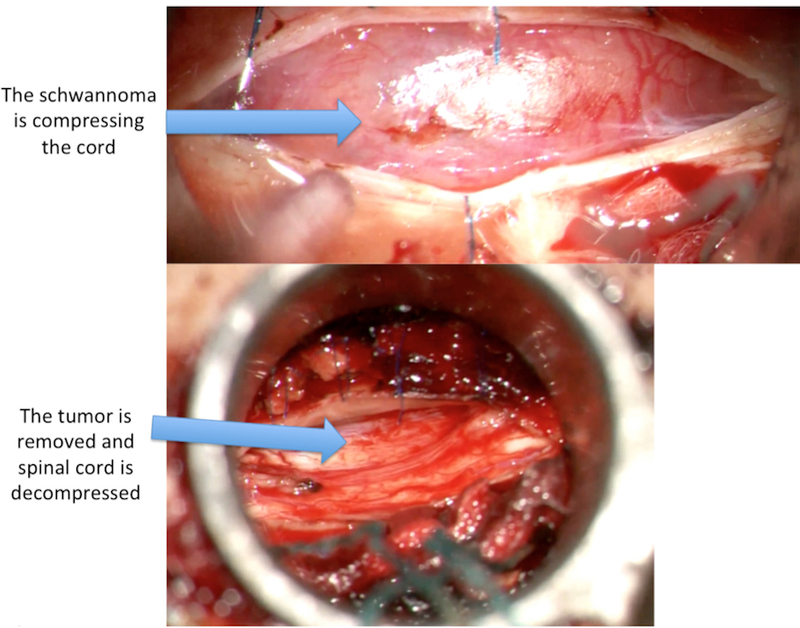 The different tumors have different treatments. 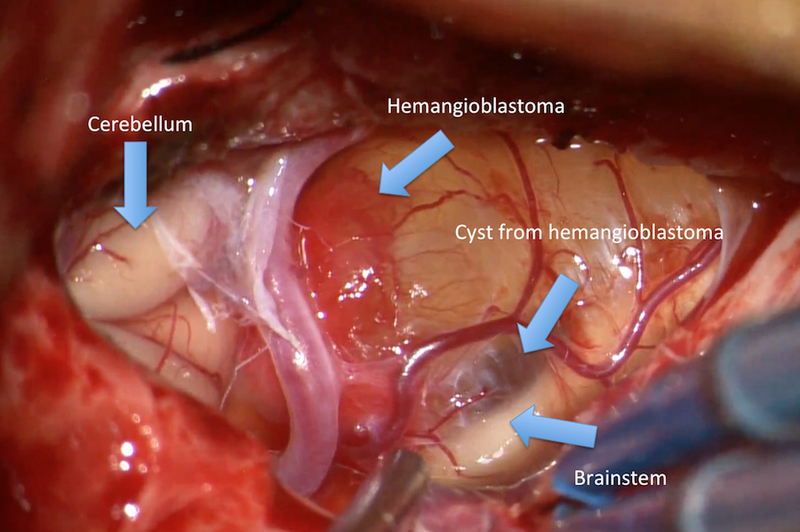 Some can be completely observed without any treatment, like hemangiomas. 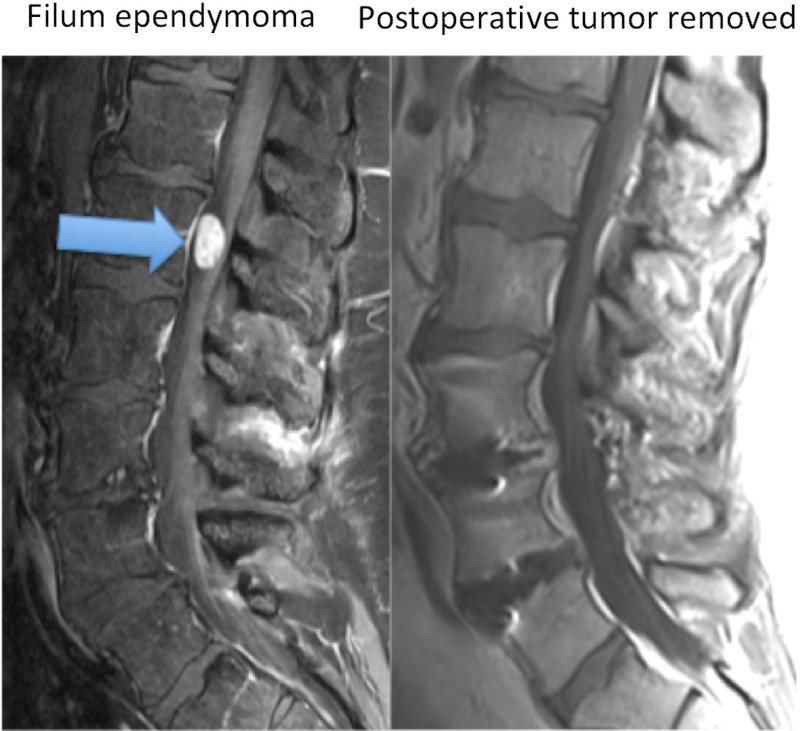 Some can be surgically removed without any further treatment, like an osteoid osteoma. 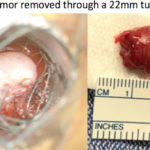 Some require surgery to remove some of the tumor and chemotherapy/ radiation to treat the rest, like a giant cell tumor. 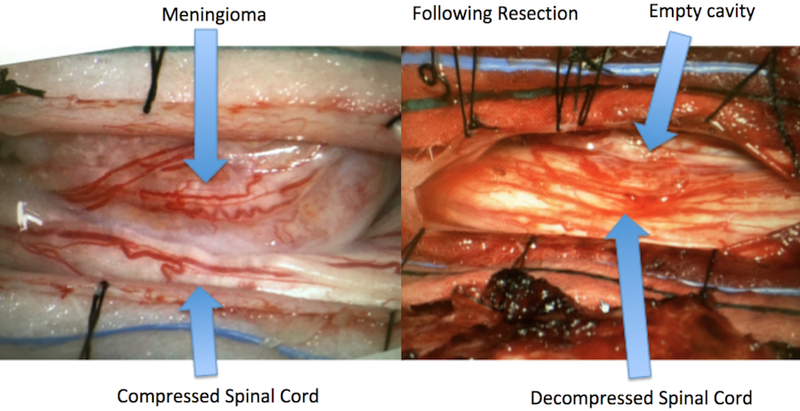 Some require the entire spinal bone to be removed (spondylectomy) like a chordoma. 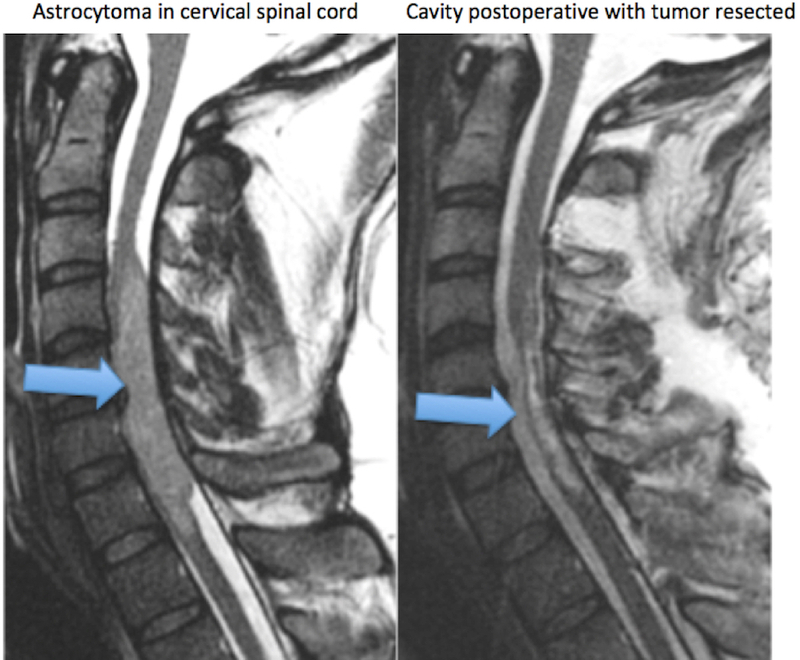 Tumors involving the spinal cord and nerves are usually categorized in three categories. 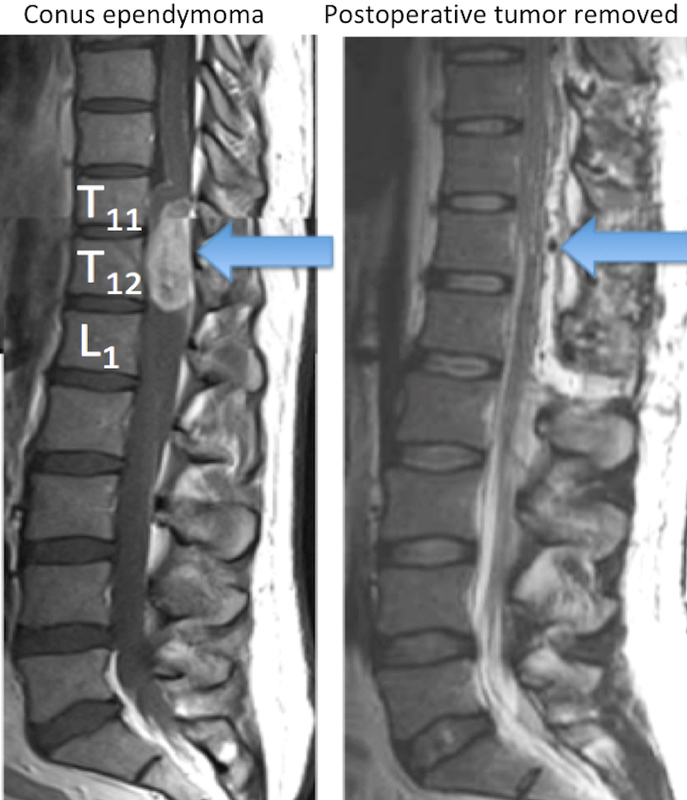 Intramedullay indicates that the tumor is within the spinal cord (nerve tissue) itself. 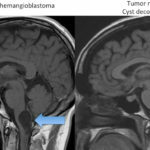 The three different types of intramedullary tumors are ependymoma, astrocytoma and hemangioblastoma. 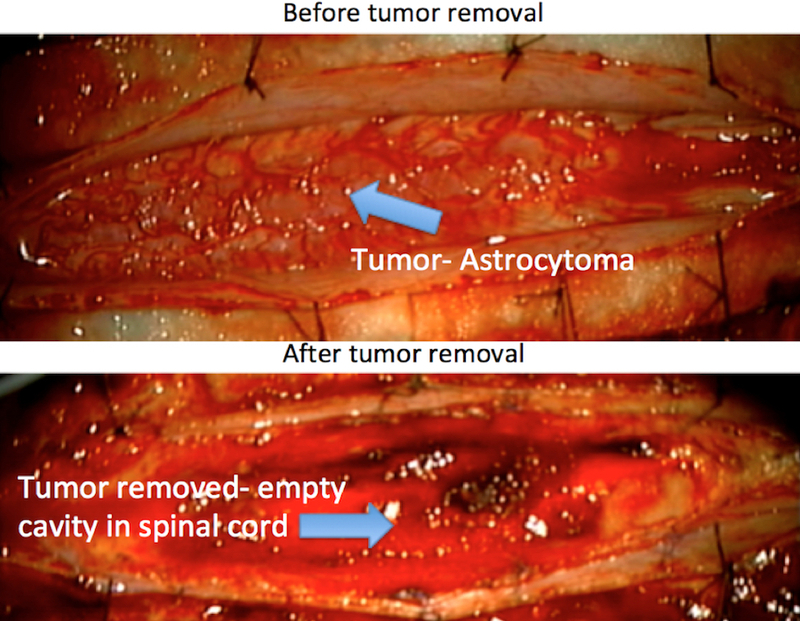 Intramedullary tumors often cause weakness and numbness and require surgery to remove them. 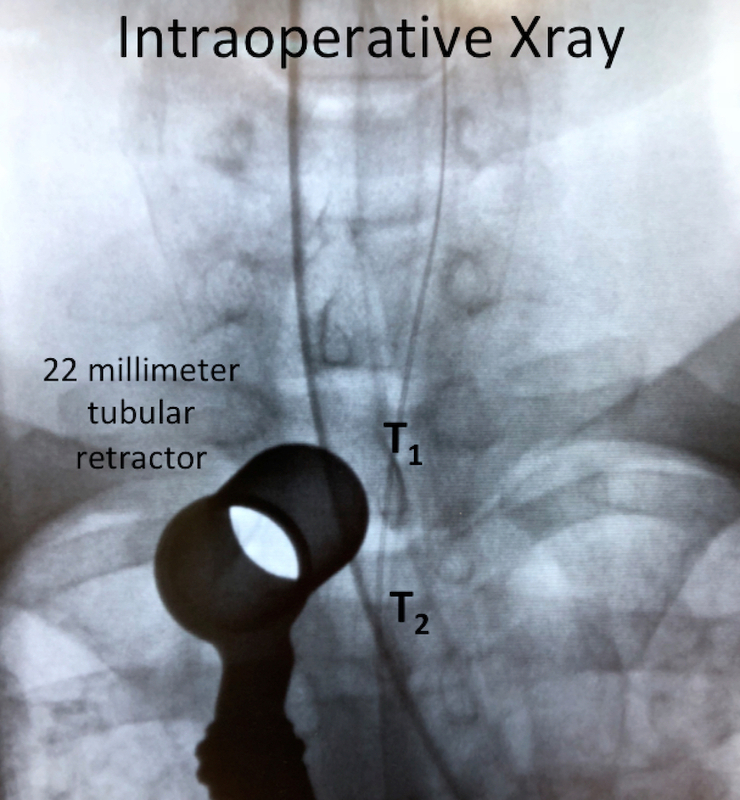 First minimally invasive tumor resection performed at RMBSI in Colorado At Rocky Mountain Brain & Spine Institute we recently performed the first minimally invasive tumor resection in Colorado, through a 22 millimeter tube. 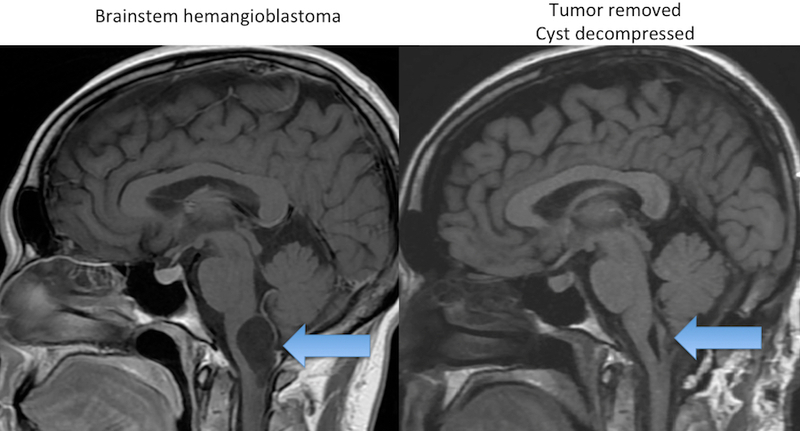 The tumor happened to be a filum ependymoma. 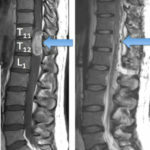 The patient was able to leave the hospital in less than 24 hours after surgery. 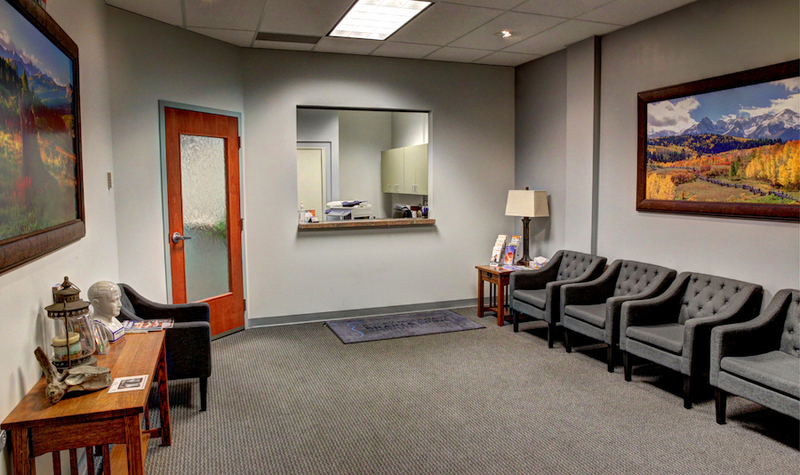 The surgery was featured in the Colorado Health & Wellness magazine. 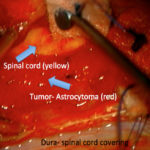 Intradural extramedullary means that the tumor is inside the coverings of the nerves, but outside the actual nerve tissue. 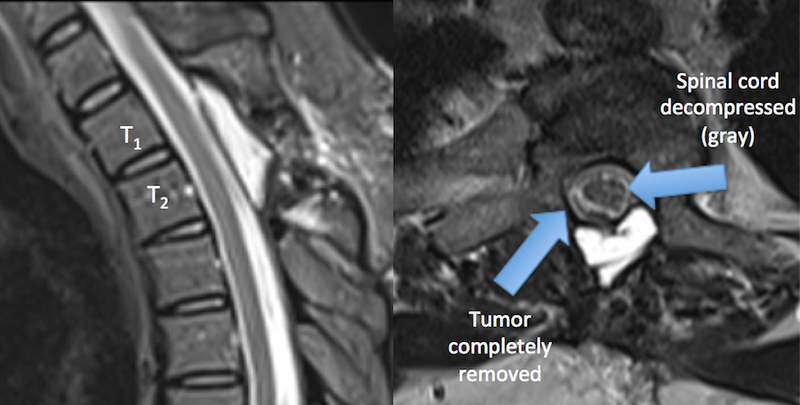 The two main types of intradural extramedullary tumors are meningiomas and schwannomas. 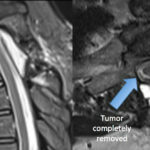 Intradural extramedullary tumors may cause weakness and numbness and sometimes require surgery to remove them. 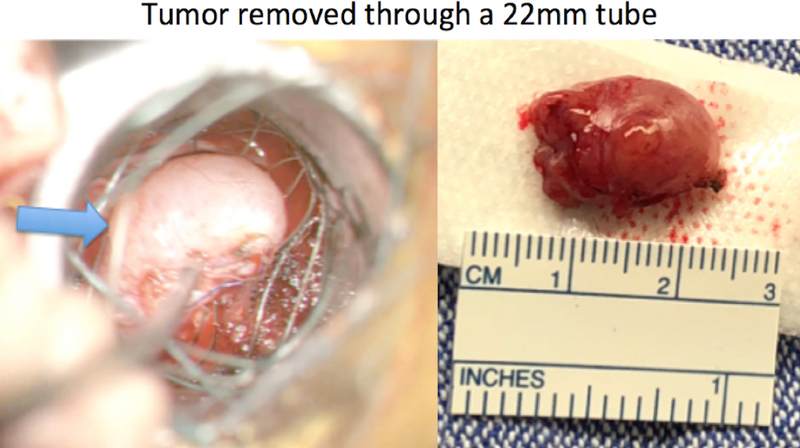 At Rocky Mountain Brain & Spine Institute we performed the 2nd minimally invasive tumor resection in Colorado through a 22 millimeter tube. 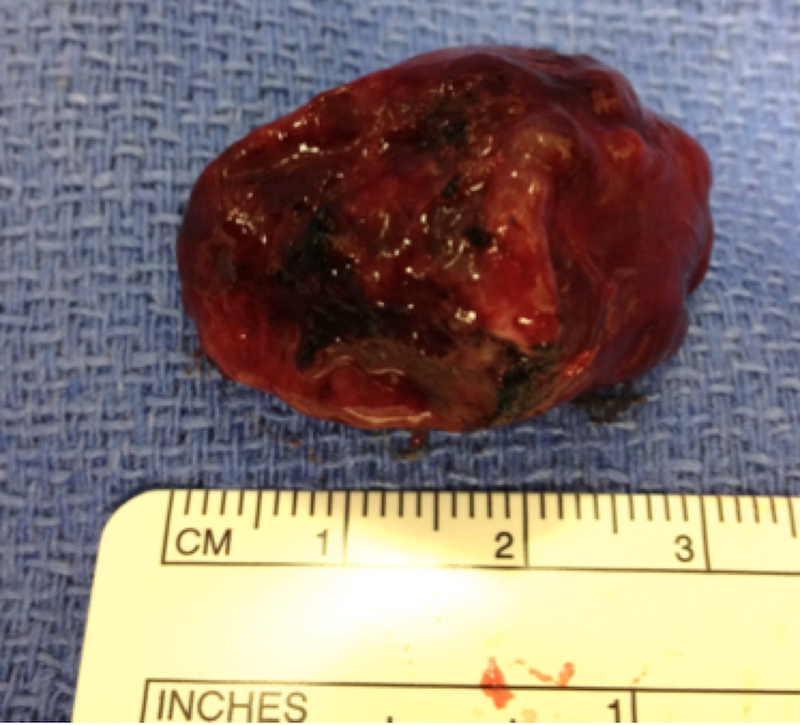 The tumor was a T1-2 schwannoma. 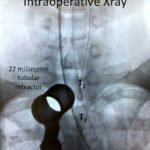 This patient was also able to leave the hospital in less than 24 hours after surgery. 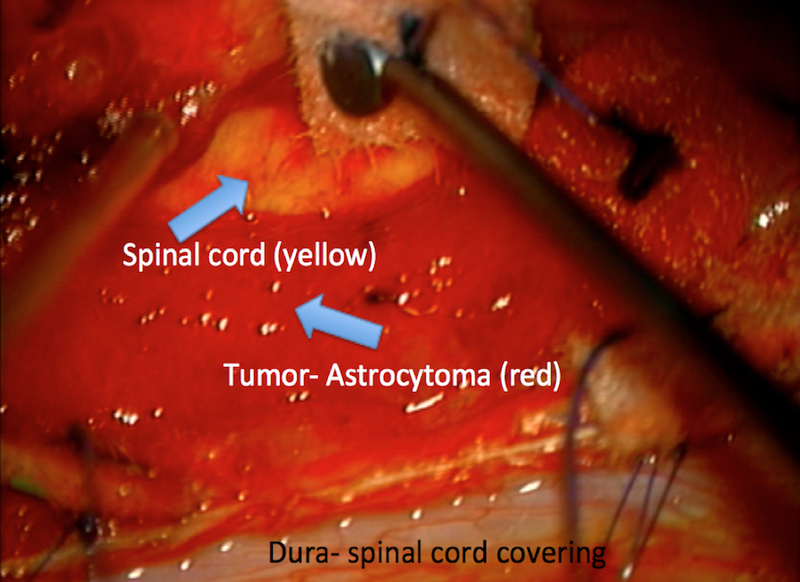 Extradural tumors reside outside of the coverings of the nerves. 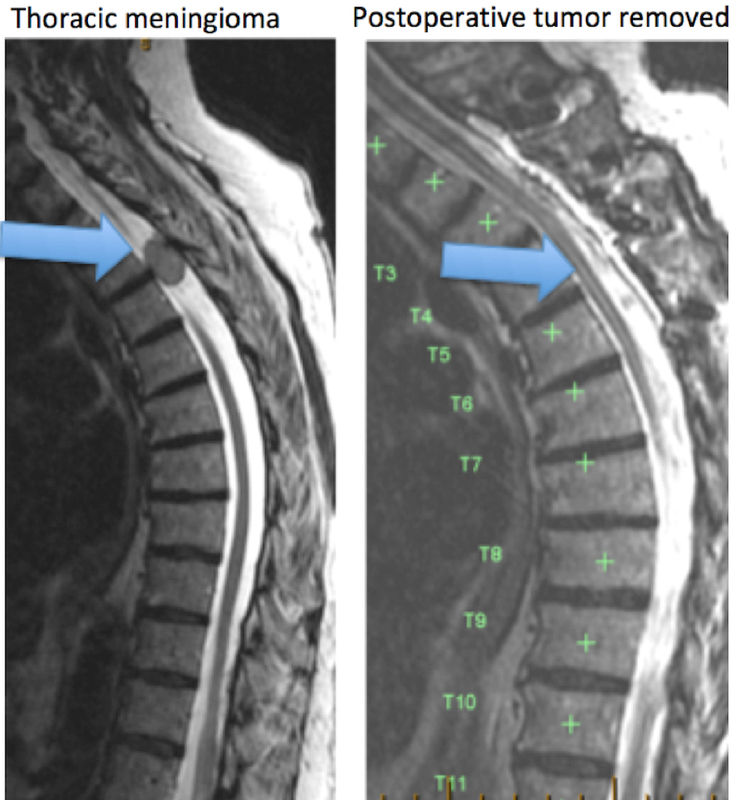 They commonly press in onto the nerves. 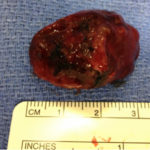 These usually are cancer metastases. 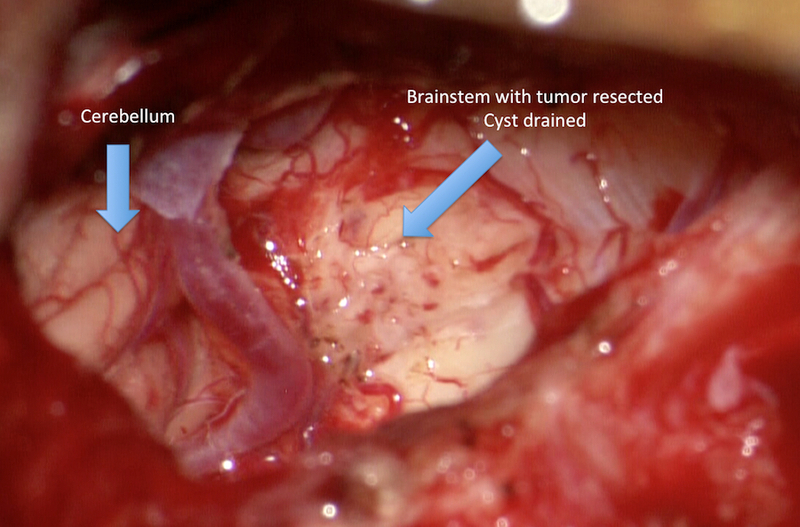 Usually extradural metastases are multiple and are treated nonsurgically with chemotherapy and radiation. 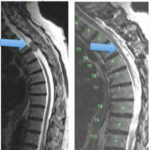 However if the compression causes weakness or numbness, surgery sometimes removes the pressure. 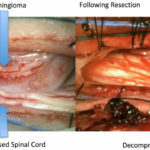 In a famous 2005 study by Roy Patchell, surgery was thought to be the best initial treatment for early diagnosed spinal cord compression by tumor metastases. 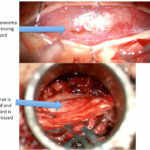 Since, more research has been performed with varying results. 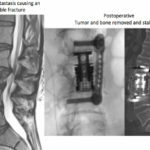 The decision for surgery tends to be based on the functional status of the patient, the stability of the spine, the location and number of metastases, the primary type of cancer and the sensitivity of that cancer to chemotherapy and radiation. 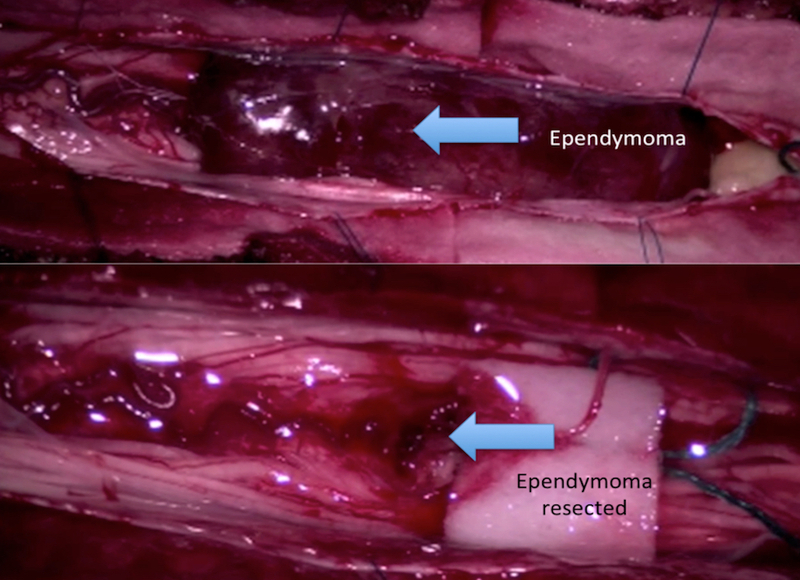 This amount of nerve compression from innumerable metastases is not amenable to surgery. 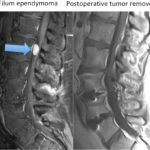 If you have a question about a spine tumor, please visit us at Rocky Mountain Brain & Spine Institute to discuss with our BOARD CERTIFIED spine surgeon.